THORA SMITH WORKMAN TOLLEY passed away peacefully November, 18, 2018 at the age of 97 years. Thora was predeceased by her husbands HAPPY ( Elmer) Workman in 1994 and by Ken Tolley in 2014; by her parents Monte and Alice Smith; her sisters, Iris Jensen, Narda Anderson, Delosie Kearl, Delanie Lowry, Phyllis Johnson; her brothers, Fay, Orville and Ronald Smith. She is survived by her sister Colleen Osborne of Calgary. She is also survived by her 5 children Janice (Curtiss) Pilling, Brenda (Wayne) Winters, Wendy (Donald) Derowin, Blaine (Janice) Workman, Randy (Pam) Workman, and 15 grandchildren and 43 great grandchildren. Thora loved The Church of Jesus Christ of Latter-day Saints and served in many positions and Missionary work. She set a good example of faithfulness, scripture study and prayer. After her children were raised, Thora studied and became a talented artist, her children and friends have all benefitted from her artwork. She is also a skilled musician and has written and composed many songs about her Church and her Saviour as well as several fun children’s songs that her grandchildren love to sing. 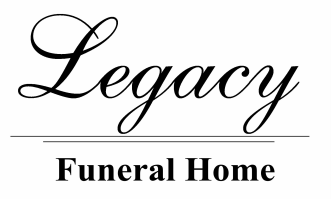 A Private Family Service will be held at the Legacy Funeral home in Cardston on Saturday, November 24. Friends may meet the family from 12:00 to 12:45 pm only. Interment to follow in the Queen’s Park Cemetery in Calgary on Monday, November 26, 2018.